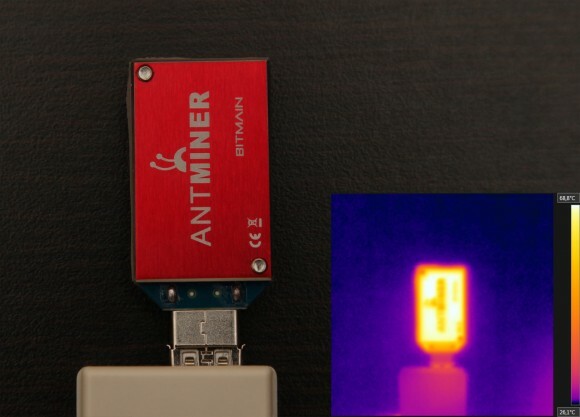 AntMiner U1 is the smaller USB-based Bitcoin ASIC devices made by Bitmain, they contain just one BTC ASIC mining chip (BM1360) and has been designed to be powered by a USB 2.0 port. These devices are rated at 1.6 GH/s hasrate with 2W power consumption and you can downclock or overclock them by software as long as you are able to provide sufficient power and cooling. 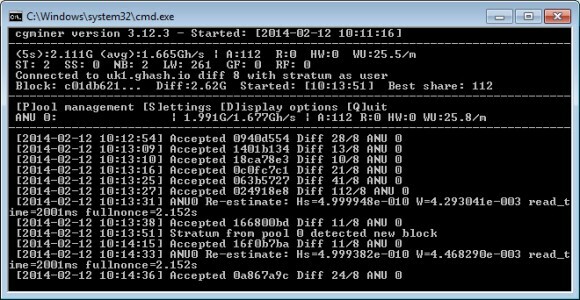 Bitmain recommends that you provide additional cooling for these devices if you plan to overclock them over the stock 1.6 GH/s performance, but we checked how hot these small USB powered BTC ASIC devices can get and their “default” hashrate and our findings confirm that it will be a good idea to think about using a fan to cool them even at 1.6 GH/s. 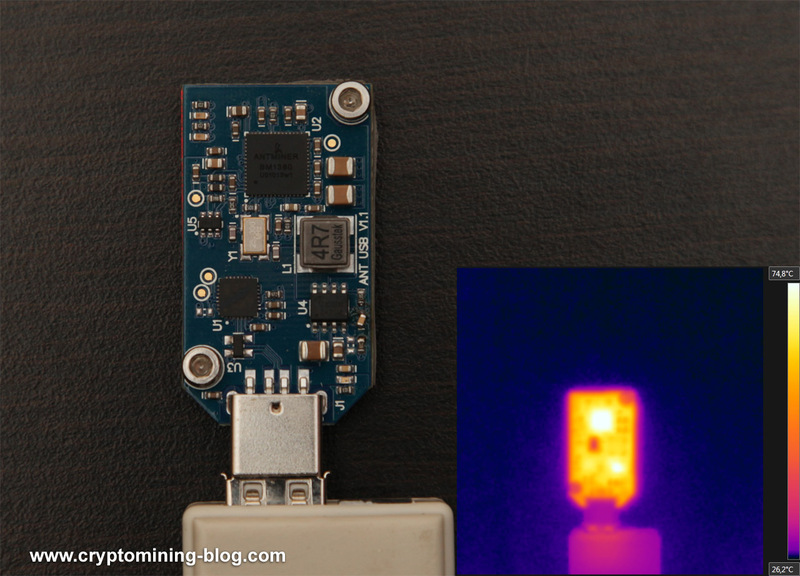 On the back of the AntMiner U1 there is an aluminum cooling plate and our thermal images show that in just about 10 minutes of use this cooler gets to a temperature of about 68.8 degrees Celsius and that is actually quite hot. The other side of the Bitmain AntMiner U1 is more important as there you will find the actual elements of the device on the PCB, including the Bitmain BM1360 chip that does the actual calculating as well as the power elements that also get hot. 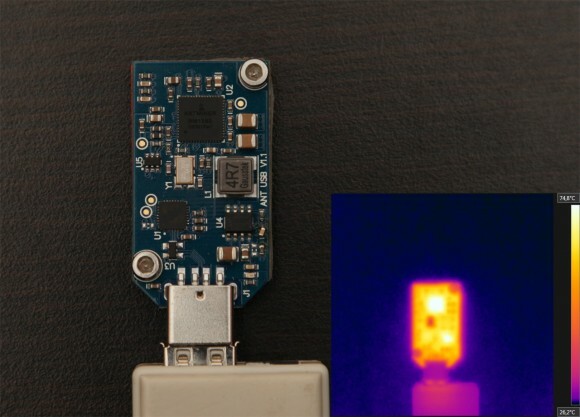 The thermal image of this side of the USB ASIC shows even higher temperatures – up to 74.8 degrees Celsius maximum measured temperature. And while even at these quite high operating temperatures the AntMiner U1 does manage to work good and stable enough without active cooling, it is a wise idea to keep the temperatures lower especially on the long run if you plan on mining with these USB BTC ASIC devices for months without problems. Of course if you do plan to overclock the active cooling with the help of a fan is a must do!